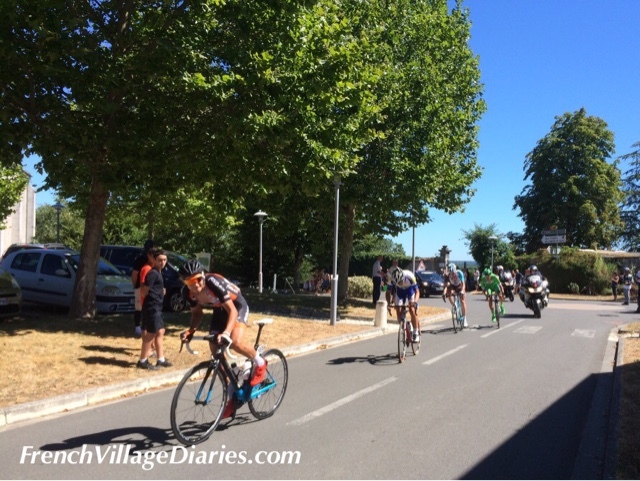 Today was the first day of the 2016 Tour du Poitou-Charentes, a four-day, five stage professional cycling tour that just happens to be (almost) on our doorstep. 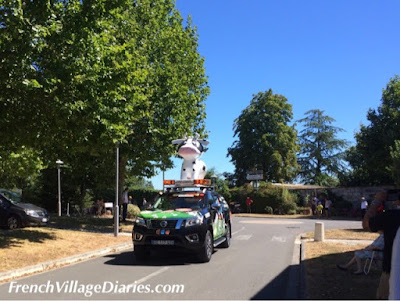 We had planned a morning drive to Angouleme, the town hosting the depart, and were looking forward to a coffee before watching the action; the team coaches arriving, the crowds gathering, the cyclists alighting, chatting and signing autographs before cycling off to the team presentations. We have done it before and it is great fun. 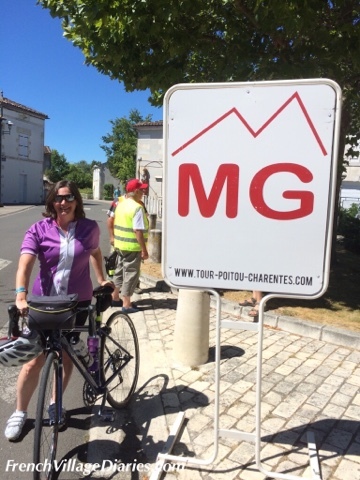 However, while Angouleme is lovely, the ‘Grand Depart’ was being held out of town, tucked away by a lycée, a college and a supermarket and nowhere near the Angouleme we know and love. Parking looked to be impossible, coffee probably non-existent and stress levels were rising. Over a coffee at home we decided our best bet would be to catch some action along the route towards La Rochelle, as the race passed through the Cognac vineyards, somewhere we love cycling in summer. We picked the top of the second hill climb of the stage, by the church in Boutiers-St-Trojan. A half-hour drive from home, followed by an 18km cycle ride and we were in place at the top of the ‘mountain’. To make it more authentic we had cycled up too and although it is quite short it’s certainly sharp (300m at 8%) and in 38 degrees it took some effort. Thankfully we had time to refuel on a spicy vegetable and chickpea pasta salad before cheering on the riders. The great thing about catching them climbing is that they are slightly slower (although no one looked as red in the face as I was) so it’s easier to spot team colours and even individual riders. It was worth the effort and even in the heat our little 38km tour of the vineyards was a lovely ride. 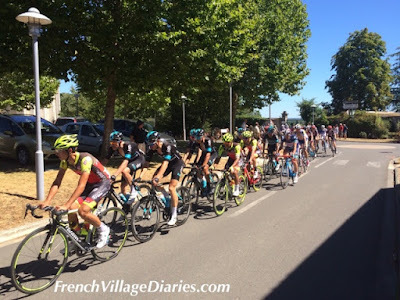 If you are in the area and want to see some live cycling this week you can find out more at the Tour duPoitou-Charentes website. 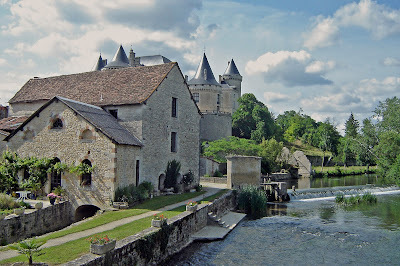 Tomorrow they will leave from La Rochelle at about midday and make their way inland, through the lovely Marais Poitevin, to finish in Niort around about 16h30. My review today is for But you are in France, Madame by Catherine Berry, a memoir about an Australian family who spent a few years living in the French Alps. Right from the start this truly was a mega-move from one side of the world to the other, with three children and very little luggage. Add in the extreme change in weather, from Australian summertime to Alpine winter weather, school life, social life and sports activities for the children, which in turn led to adult inauguration with all things bureaucratic and Catherine certainly had a story to tell. 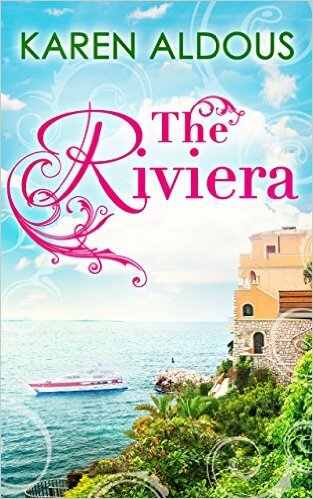 Theirs was never meant to be a forever move, but the original time they gave themselves kept growing as they became more settled and the children loved their new routine and activities, despite living in France being Mum’s dream to begin with. Rather than buying, they rented places to stay, often term-time lets, but that meant they regularly had to move out during the holidays. Instead of this being a hassle, it gave them the perfect excuse to travel around France and beyond as a family. As always, life in France wasn’t all ski-ing lessons, coffee shops, markets and family road trips, they also had to battle medical issues, culture frustrations, coordinating visitors and a very long distance commuting dad/husband. 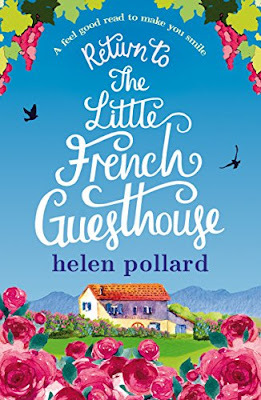 However, I was quite jealous of the flexibility their lifestyle gave them and loved the way they embraced the good and the bad and got the most out of their French adventure. Catherine’s love of France and spending time with her family comes across very clearly. This well written memoir certainly portrayed everything I would expect from a move to France and for anyone thinking of doing something similar it is an interesting and detailed account of everything they experienced while here. 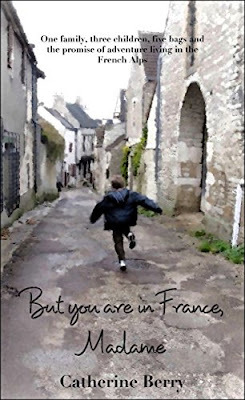 But you are in France, Madame is available in ebook format from Amazon. Here is the final part of our moving to France story. If you have missed any previous posts you can find part one here, part two here and part three here. The next few days were a blur of arrivals and departures, and that included the sunshine. The removal men arrived on 10th August, unloaded and left, but with our familiar things around us we were able to make up our beds, reunite Ed with his toys and start to make our new house a home. Ed’s little green and yellow bike that he hadn’t seen for a month was the first item to come off the lorry. This simple and unexpected gesture made such a difference to him and showed us the removal men were not only experienced movers, but good parents too. The first night brought with it the realization that we were not alone. We might have moved into a small village but there was life and lots of it; the screech of the barn owl was both wonderful and terrifying and the mustard yellow carpet in Ed’s new bedroom (the only carpet in the house) was alive with fleas that were delighted to feast on fresh young blood. We soon realised that shutters were the most wonderful things that enabled anyone (even a three year old) to sleep through dawn and wake up refreshed from a good night. The morning church bells at somewhere close to (but never exactly) eight o’clock were the perfect reminder that if we didn’t get up soon the boulangerie would have run out of croissants, and I still love the fact that we can sit in bed with the windows wide open, listening to the birds, with the smell of freshly baked bread drifting in on the breeze. We welcomed our first guests that week, Adrian’s parents, who had bravely made the noisy drive down with our two cats, Poppy and Willow. Their arrival meant we now had plenty of manpower to rip up the carpet and discover the local déchetterie. The weather and our moods often swung from stormy to sunny during that first week that ended with Adrian making the first of many trips back to the UK for work. I soon found myself alone with a three year old in a house whose creaks and grumbles were still unfamiliar, but I have fond memories of walks to the village park on sunny afternoons and big messy painting sessions held indoors as the rain and thunder played outside. 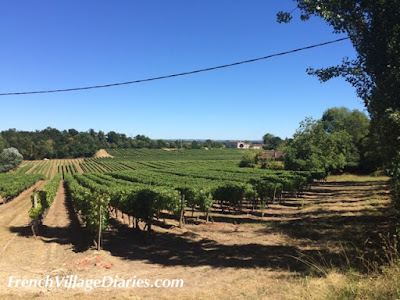 Things might not have gone quite to plan to begin with, but we were in France and had survived our first week and we learned that sometimes the best thing to do is to carry on without a plan. Things were new and unexpected then and everyday was an adventure and experience. We have since slipped into a routine, which is comforting, if not fresh and exciting but we both still pinch ourselves with the realisation that we took the huge leap to live our dream. We have a large house in France, with land and a privileged lifestyle that gives us plenty of family time together and we are very happy. However changes are afoot once more. The Brexit vote has shaken the foundations of our life in France to the core and I can’t help but worry. I get that the EU wasn’t working for everyone. I get that it is a bold and exciting step to take, to put all that is wrong with the past behind you and step into a new future and the possibilities that holds. I was that brave person who set off to a new and unknown future. I embraced all the EU had to offer with my heart. Now my heart is broken. We are EU migrants, given the chance to widen our horizons and experience life somewhere other than where we were born. We made the leap into the unknown because we had the right to do so. No one knows what the future will hold for migrants like us, from the UK who are now living in other EU states or those who have made the UK home. No one knows and so no one can reassure my worries or fears. The future in no-man’s land looks bleak, all we know is that our lives and rights will form part of the Brexit negotiations, which doesn’t do much to inspire a promising future. 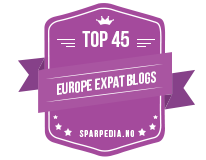 I can only hope that we will have many more years here, being active members of our village and sharing our life in France on the blog. I wish I could say that my initial fears were unfounded. They were not. I wish I could say that the UK has worked hard to achieve a deal that offers a better future for all; including EU citizens who have made the UK their home and UK citizens who have made their home in other EU countries. They have not. We are all still in the limbo we were thrust into in June 2016. We still feel as though no one cares. The UK government don’t seem to care about us, only the ‘will of the people’, meaning we are not considered ‘people’ worth listening to. The leave voters don’t seem to care that lives are being ruined, both financially and emotionally with the uncertainty of what will happen. We are considered poor losers who do nothing but moan. No one could give me answers two years ago, no one can give me answers today, maybe if they could I wouldn’t feel so afraid. The French authorities are trying, but they are almost as unsure as we are as to what we/they should be doing. We have now secured an appointment for residency cards, but in our area, they are unable to cope with the sudden increase in demand (current regulations do not require UK citizens to apply for residency cards) and so the delay for our appointment is over six months. Our income is directly related to the £/€ exchange rate, which dropped in June 2016 and has continued to fall in the two years since the referendum. The financial impact of this has meant a loss of income of 22% in the last two years. We are used to living with the uncertainty and fluctuations of currencies, but what is more alarming is that the UK seems to be hurtling towards a no deal exit from the EU, putting Adrian’s ability to work cross borders in jeopardy. Currently services supplied by one VAT registered company to another in an EU member state are not subject to VAT. With no deal, there is the very real possibility that we will be required to charge our UK clients 20% TVA, immediately pricing us out of the market, or having to take this charge ourselves, which will reduce our income even further. We are considering our options carefully. We are within our rights to apply for dual nationality, but our income among other things will be scrutinised for this. It is rather ironic that Brexit is forcing us to think about this at the same time it is reducing our income drastically. I fear we are likely to be looked upon as financial burdens to the state and refused. This is not just the French being picky. We have a German friend who has lived and worked in the UK for many more years than we have been in France and is married to British man. 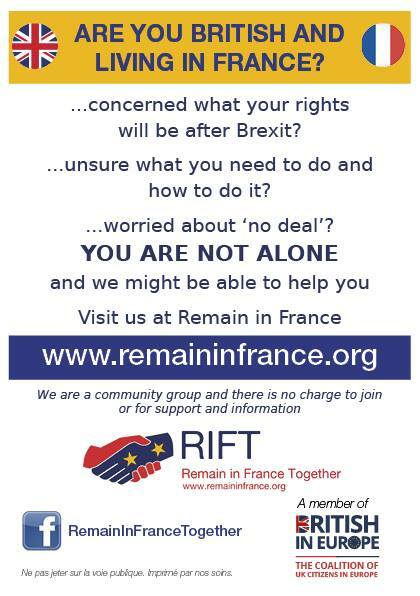 The difficulties the British authorities are already imposing on her and her right to remain, make the French system look like a piece of cake. Another option is for Adrian to return to UK for a full-time position with a UK company. This again poses as many problems as solutions. We have no home in the UK to move back to. Do I go with Adrian or do I stay with Ed, who is about to begin his university life in France this September? Whichever we chose Brexit is dividing our family and is a real risk to our futures. Thank you for reading, liking, commenting and sharing these posts on social media. It has been great fun reliving those early days and sharing our adventure with you. Knowing you have been enjoying it too makes me very happy. Here is the third part of our moving to France adventure. You can read part one here and part two here, if you have missed them. A new day dawned and with it came a new weather system with cooler temperatures and lots of rain. We sat in the Notaire’s office with the couple selling the home that had been in her family for over fifty years, listening to the rhythmic drumming of the rain and crossing our fingers our money had arrived. As well as the issues that had plagued our journey to France, there was something much more serious on our minds. The day before we left and only one working day before signing, we discovered our thousands of pounds had left our bank account, but had not reached the Notaire in France. The transfer company took full responsibility for the admin hiccup that left them sitting on our money and assured us a speedy transfer would be made, but we had no way of checking this en route. It was there and everyone was happy to proceed. Each page of the contract of sale had to be read aloud, initialled by both selling and purchasing parties and signed in full at the end. This took quite some time and as we put pen to paper for the final signature there was a huge clap of thunder directly overhead. We exchanged one of those ‘what have we done’ glances but there was no going back now. 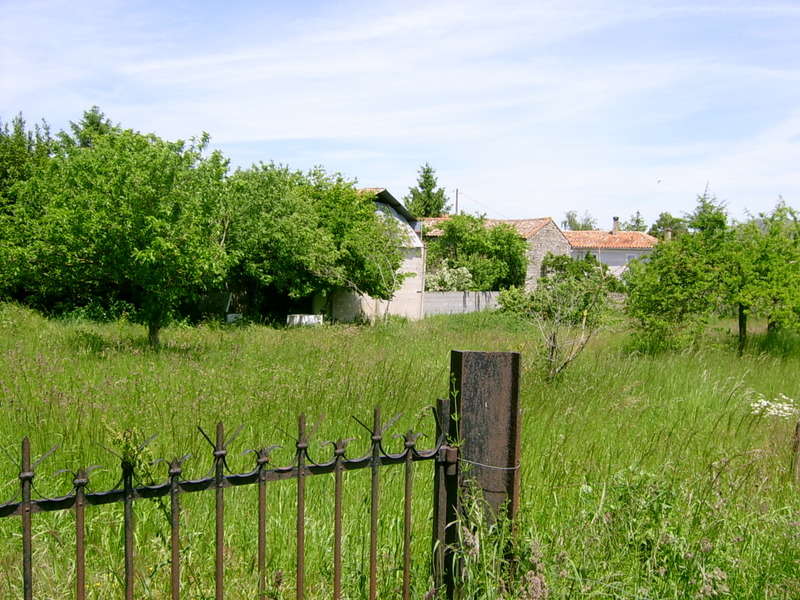 The house with the orchard hidden behind an old, green gate in the back wall of a barn was ours. The vendors accompanied us back afterwards to point out a few quirky features, like the upside down gate lock, badly fitting back door key and the 10,000 litre water storage tank concealed under the barn floor, but the house looked rather bare with room after room empty of life and furniture. Even an energetic three year old racing in one door, running through the house and out another door singing the Hokey Cokey, didn’t make it feel like home. The rain was still falling and the thunder was rumbling but that didn’t stop us having a picnic in the courtyard with a fresh baguette from the boulangerie situated only two doors away. We had no phone line, no internet and no mobile phone signal either, so despite the excitement of the house being ours we felt rather cut off from our family we had left behind. We also needed to go shopping and sooner rather than later. Our furniture was due to arrive the following day, but we needed to buy a new cooker, fridge and washing machine, so we set off to our local big town for an exciting afternoon of white good shopping. By the time we arrived, Ed was fast asleep in the car and as most parents will remember, waking a small child can make them rather miserable. We needed him on his best behavior to allow us to concentrate on making our first important purchases in French, so we all sat in the car and dozed while the rain continued to pour. So far living in France wasn’t as exciting as I had imagined. Once back at the house, with deliveries promised for later in the week, we couldn’t help popping a Champagne cork in celebration to accompany another picnic, even though the rain soaked walls on the terrace looked rather grim now they were dark with damp. The excitement of having our own orchard was still as strong as the first time we had stepped through the gate into the wilderness that had been untended for a couple of years. It was magical and like entering a secret garden. A little bit of rain couldn’t dampen our enthusiasm even if it meant the waist high grass stuck to our skin as we bravely waded in to discover what fruits were ready to pick for our first homegrown meal in France. We could have camped that first night, but decided to close the shutters and return to the B&B for a final time. Tomorrow the removal men would bring our furniture and it seemed important for Ed to spend his first night in his new room with his familiar toys and bedding around him. Tonight we will be feasting on homegrown produce and popping the Champagne corks once more, celebrating twelve fantastic years in France. To read the final installment of our journey to France, click here. Let me take you back twelve years to August 7th 2004 and the first night of our new life in France. We were homeless. OK, we weren’t quite out on the streets but officially we had nowhere in the world to call home and our accommodation that first night left quite a bit to be desired. As I lay in bed and listened to the beetles scurrying across the floor, I wondered what on earth we had done. Our new life in France was not quite going to plan and little did I know it then, but things were set to continue off-plan all that week. Following the sale of the house that had been our home for five years, we had spent the last month officially living with Adrian’s parents in Reading, although Ed and I had also spent almost three of those weeks in Ireland visiting relatives with Mum and Dad. On a warm summer Friday evening we had dinner in Reading before saying our goodbyes to Adrian’s parents and taking lots of fun photos, photos that would be looked at over and over by Ed in our first few weeks in France. The first night of our four-day journey, that would see us sleeping somewhere different every night, was spent at my Mum and Dad’s house in Woking. The following morning we said more goodbyes before putting our crazy plan into action and set off for Folkestone, in a two-car convoy, with our one-way Eurotunnel tickets, big smiles on our faces and if I’m honest a mix of fear and excitement in my heart. Less than ten minutes later we drove past some friends waving and cheering us on at the side of the road. I think that, more than anything else, brought a lump to my throat and the realisation that we were now en route to our new life. Even back then we were no strangers to driving holidays in France and often made use of the budget motels, so our first night was planned for the Premier Class in Dreux. The weather was warm, we hadn’t had to drive too far and we were relaxed and happy. So relaxed in fact we let Ed have a nice long run around at the soft play area attached to McDonalds, as being stuck in a car all day is no fun when you are only three. This meant we found ourselves booking into the hotel after reception had closed, but the automated machine gave us our room number and access code, so no problems so far. For a family of three Premier Class are ideal; with a small shower/toilet cubicle in one corner and a double bed with a single bunk above, you don’t need much more for a one-night stay. However, we had been allocated a disabled room that gave much more space, but had no single bunk bed and three up in a small double bed wasn’t an option. Thankfully somewhere in one of the cars was a sleeping bag and with the extra floor space there was room to settle Ed in a corner. After a bedtime story and lots of cuddles I could almost taste the glass of wine Adrian had poured for me in the plastic beaker from the bathroom, and I was ready to pull the door to and join him outside. Then the beetles arrived. From out of nowhere our ground floor room was suddenly crawling in black beetles. We evicted as many as we could and blocked the tiny gap under the door with a rolled up towel, but stress levels were rising, tiredness was catching up and it felt like France was testing us out already. Sleep didn’t come easy that night as every tickle on my skin had me flapping and scratching and in my imagination beetles were crawling all over us. I tried to keep optimistic; tomorrow was another day and tomorrow night another bed. 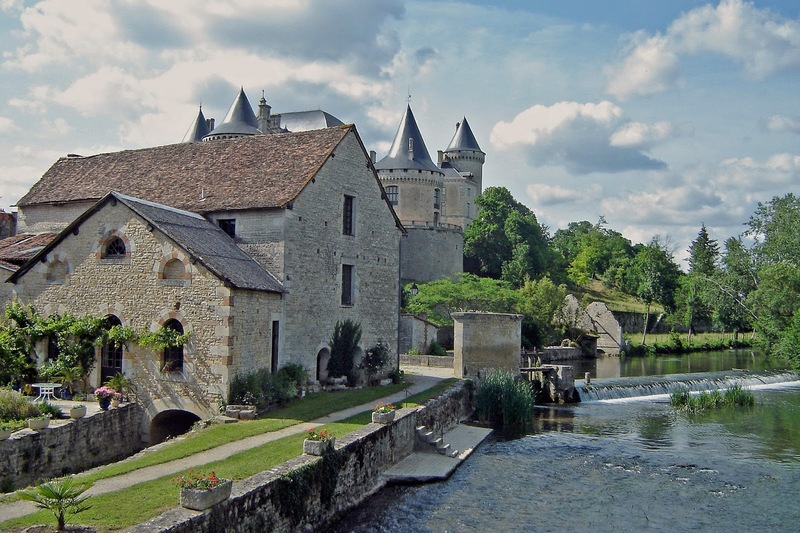 We would be in Poitou-Charentes and only one sleep away from signing for our new house, two sleeps away from the arrival of our furniture and our new life that promised endless days of summer sunshine. Click here to read the next instalment. 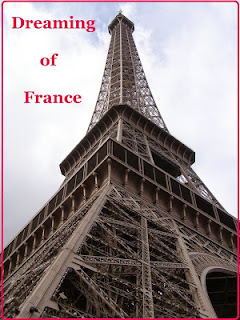 This post has been linked to All About France blog link up. 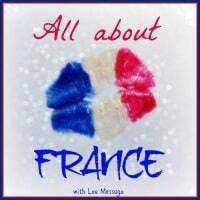 Click on the image below to see more great posts All About France.